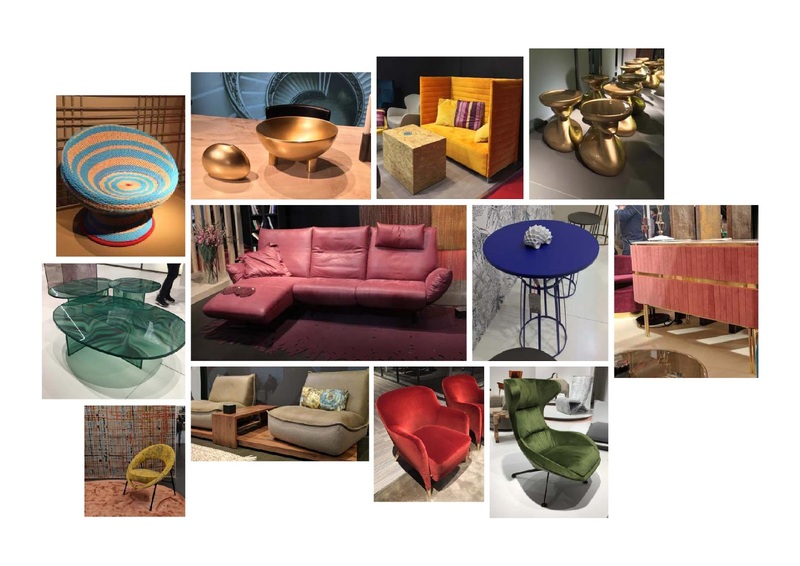 Just like we promised in our earlier post, we are back with a report on what's trending from the Milan Design Week 2017 that will continue to be big in interiors through the year and the following year. 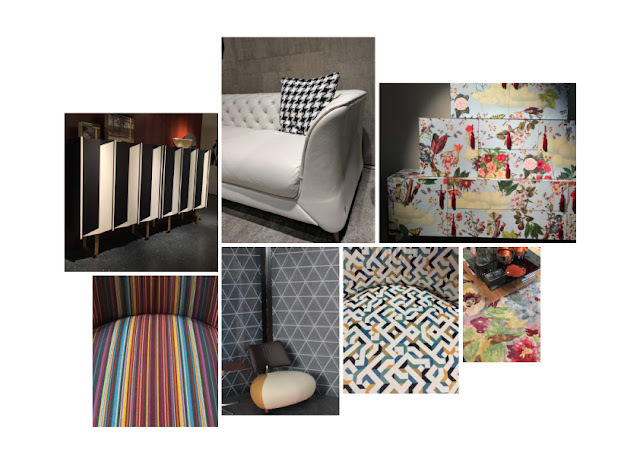 This year one would've witnessed a veritable explosion of colours, materials and patterns at the fair. 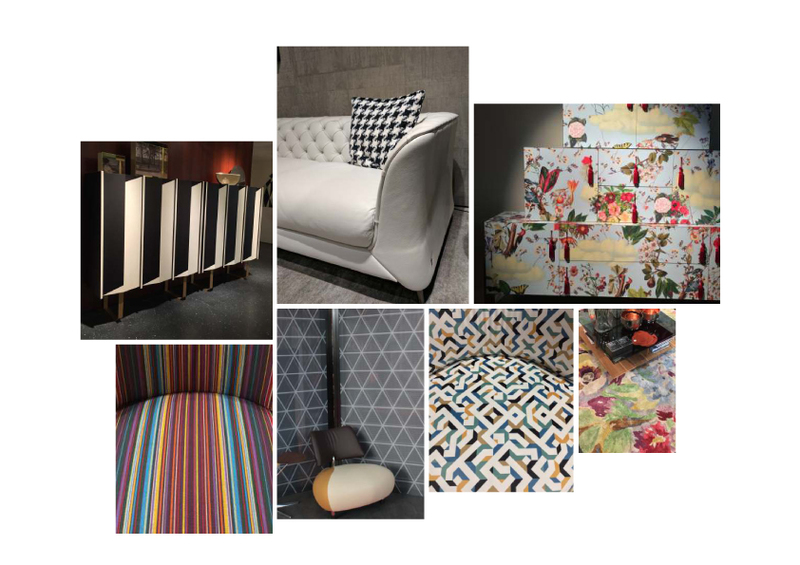 It was a real challenge to pinpoint what's more trending than the other, but that did not stop us from getting on to analyse the widely trending colours and materials for the year ahead. Green kept low profile last year, but occupies a larger quotient when it came to top trending colours this year. Staying true to the Patone colour of the year, green in shades of olive, forest, deep sea and natural can be seen on walls and panelling, bases, while olive remains as an accent colour. Last year's big new colour, warm grey continues to be seen in paints, leather, wood, plastics, wallpaper. The hue in tones of olive and rust makes an understated appearance. The Oscar's red carpet trending fashion colour, scarlet made an entry to the furniture world in a minimalist way through terracotta, red wine and solar overtones. Blue is back and was found on just about everything. It remains as a favourite tonal palette for contemporary interiors. Pink has paved its way into interiors through blush pastel tones. A refreshing, motivating and pleasant hue, pink adds a touch of femininity, romanticism, and class to the interiors. Seen in the fashion world and at the academy awards, Metallics make a huge impact in interiors as well. It is quite clear that we are moving away from the softer, more muted tones to a radiant, stronger gold that brings richness to the home. Inject these golden tones into your home through carefully placed ornaments and accessories. 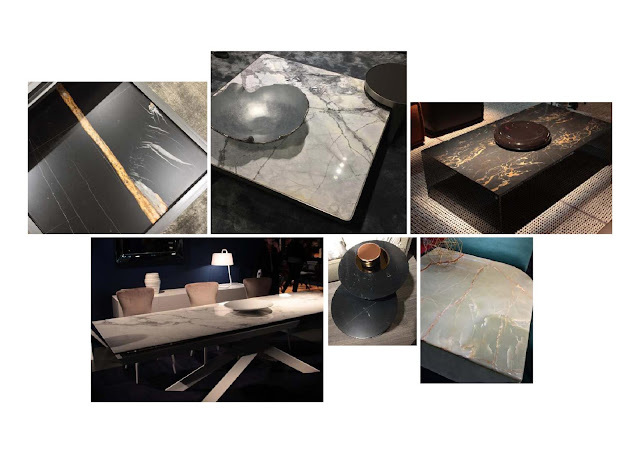 There's a huge shift from wood to marble and ceramic. Marbled tones in white, brown and mottled grey ceramic are stronger than ever, and are being used, with marble itself - sculptural and elegant with metal insertions and trims, in tabletops large and small. Monochrome aka black and white have set in breaking the monotony of single tones. You will see them in fabrics, glazed products, upholstery, wallpaper, cabinetry. Stripes and geometric patterns that emerged last year are here to stay this year too. You will see these patterns dominant in upholstery, wallpaper, tiles, metal and wood surfaces. Organic floral designs make their debut, which is seen on walls, cabinets, and woven carpets. If you want to dip your toes in the trends go for these colours and materials and create a confident, composed and comfortable feeling to your space. Ask your architects and designers for the latest and we're sure they will enjoy using these colours and materials in their projects and bring the connection of pleasurable sunny days and the breathing fresh mountain air to make homes look beautiful. For a complete report on 12 Interior Design Trends to Use for 2017-18 subscribe to our newsletter by visiting: http://www.simplysofas.in/MDW and download the trends instantly.